During your PADI Divemaster course at Blue Bay Dive, you will work closely with your PADI Instructor and fine-tune your dive skills. 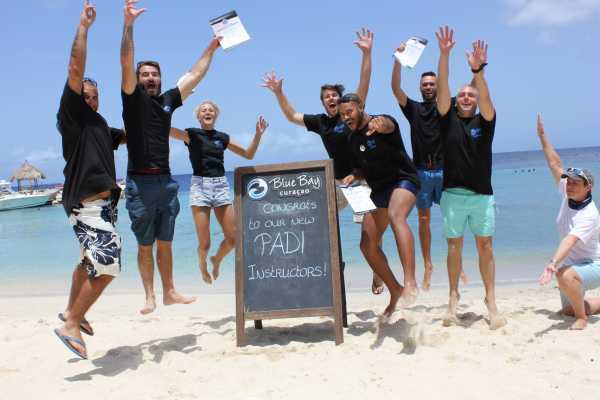 At Blue Bay Dive you have a great chance to work with several PADI Instructors and PADI Divemasters, which makes it a broad and complete experience in which you will gain dive knowledge, management and supervision abilities. As a PADI Divemaster, you will lead others as you supervise scuba diving activities and assist with diver training. Please feel free to contact us also about an optional Divemaster internship to gain even more experience. Please find further details in our Information Brochure. If you love what you do you’ll never work a day in your life! The PADI Instructor Development Course (IDC) is your opportunity to make diving your job! 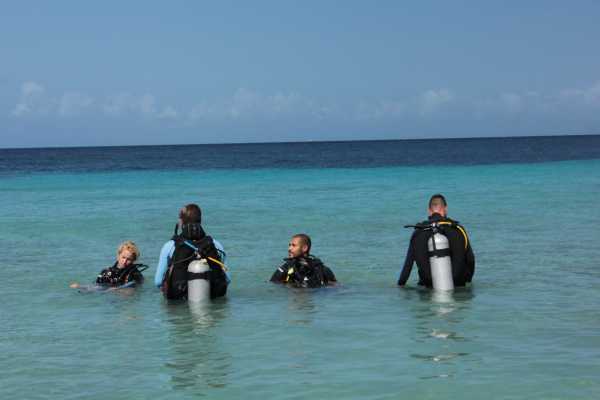 Under the supervision of our PADI Course Director Mick Bosman, we will prepare you for your career in diving. 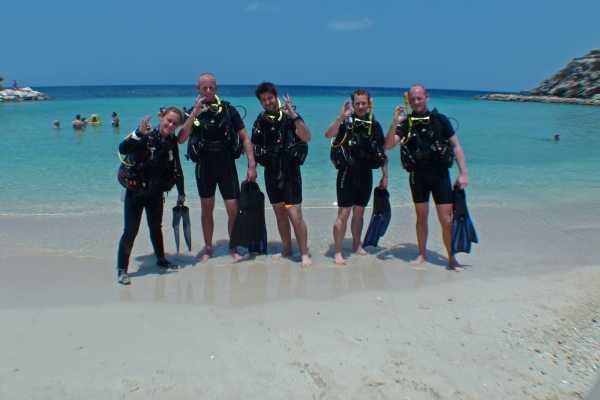 During this course, we will prepare you for the Instructor Examination (IE) and a life as an Open Water Scuba Instructor. With a 100% passing rate, Blue Bay Dive is THE place for you to do the IDC. The IDC will be provided in English, German and Dutch. It’s also possible for you to participate in the PADI IDC Staff Instructor Course, which runs at the same time as the IDC does. You will be part of the team and experience how it feels to be our Staff Member during the IDC. 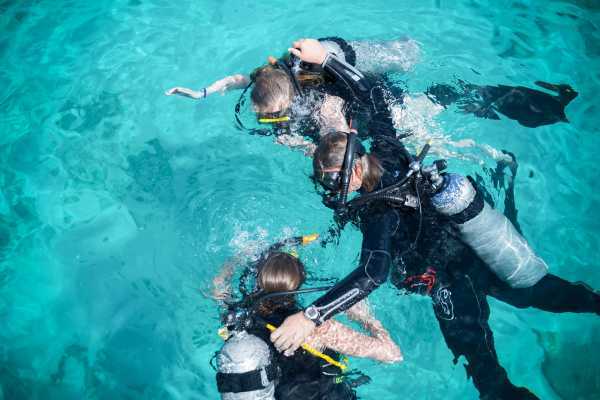 Since we are a PADI Tec Rec Center we also offer Tec Instructor training options after the IDC. Join us now and make a career move you will never regret! Next IDC: April 26th - May 5th Instructor Development Course (IDC) & 6-7 May Instructor Examination (IE) Other dates for 2019: August 15th - 24th IDC + August 25-26 IE November 28th - December 7th IDC + December 8-9 IE Please download the IDC 2019 Guide PDF for more information and rates. (You will find this PDF on the right side) >>> We hope to see you soon! If you are PADI Open Water Diver and you want to make diving your Job! This program brings you from zero to Hero!